Apple announced the iPhone 8 and iPhone 8 Plus at a special event in Cupertino last month, but the real star of the show was something else. 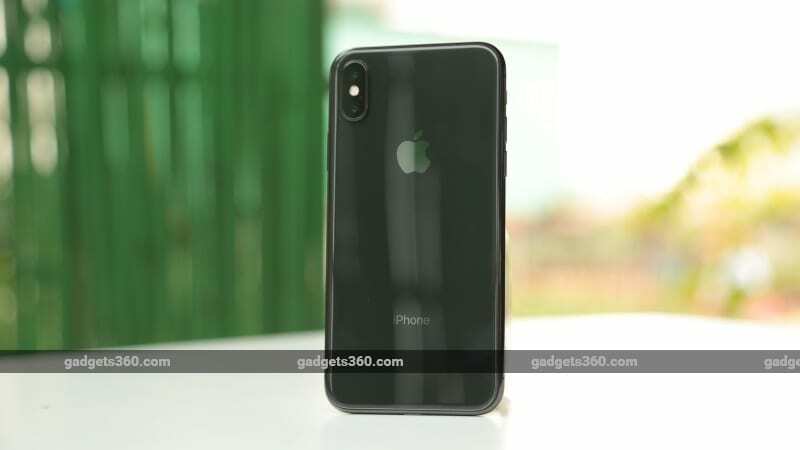 The iPhone X (pronounced ‘ten’, not ‘ex’) represents the biggest redesign of the iPhone yet, coinciding with the tenth anniversary of the launch of the phone that kickstarted the smartphone revolution in earnest. 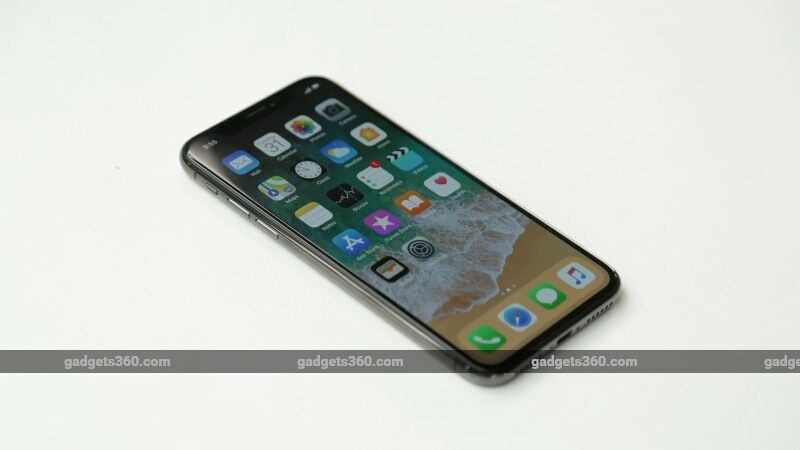 The iPhone X is already up for pre-orders in India, with customers set to get their hands on their units starting this Friday, November 3.
iPhone X is the Apple’s first all-screen smartphone. It sports a 5.8-inch Super Retina OLED display. Apple decided to forgo the Home button to make space for a larger screen. 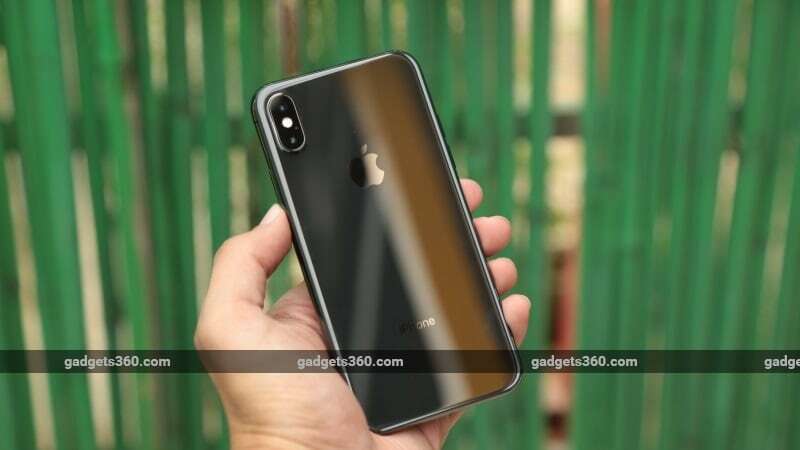 iPhone X comes in two colours – Silver and Space Grey (pictured here). You invoke Control Centre by swiping down from the right side of the notch, which has the dot projector and other components needed for facial recognition. The glass back of the iPhone X enables support for wireless charging. 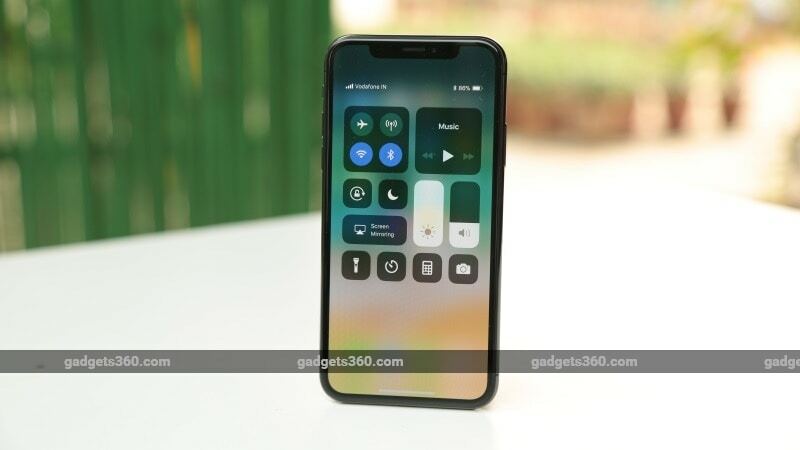 Without the home button, you navigate the iPhone X using a series of gestures, like swiping up to invoke the app switcher (pictured here). 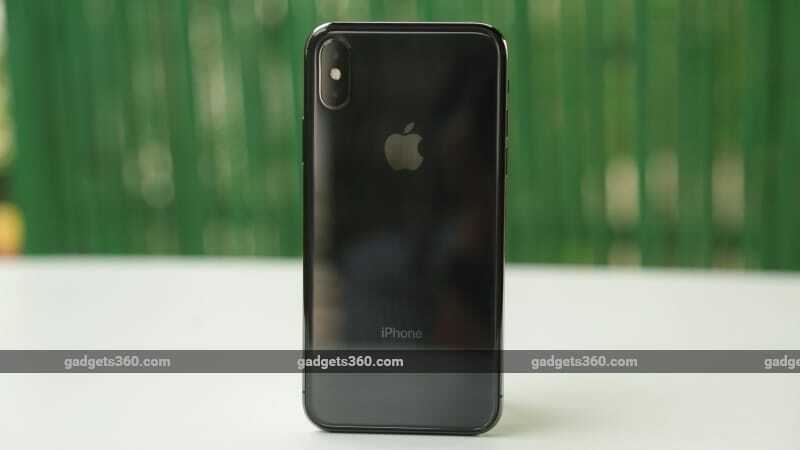 The ‘Super Retina’ display on the iPhone X ticks all the right boxes when it comes to specifications: 1125×2436 pixels, 458ppi screen, Dolby Vision, HDR10, True Tone, and a one million-to-one contrast ratio. 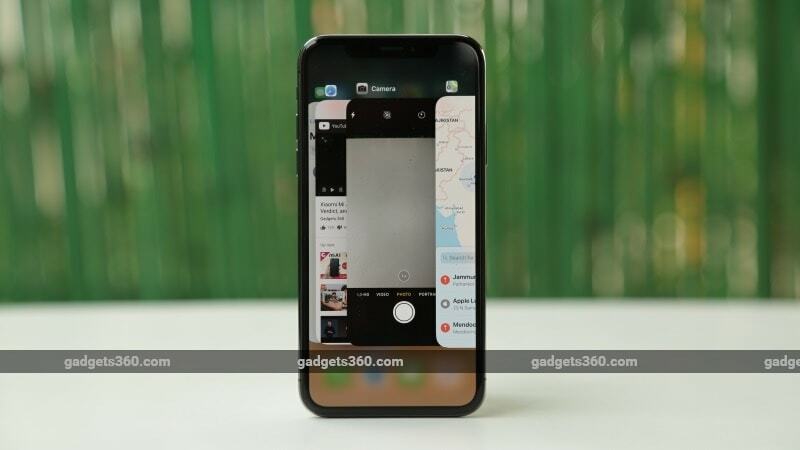 Just like the iPhone 8 Plus, the iPhone X has a dual rear camera setup, but with optical image stabilisation included on the secondary sensor as well. 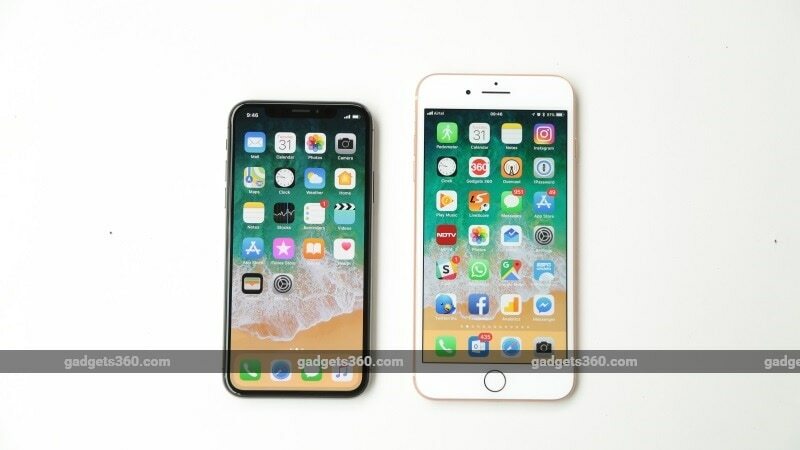 Despite its smaller size, the iPhone X (left) packs a bigger display than the iPhone 8 Plus. 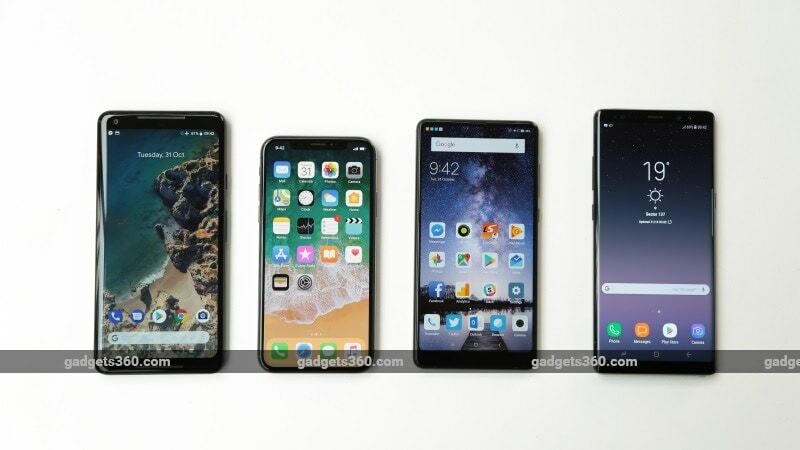 From left to right: Google Pixel 2, iPhone X, Xiaomi Mi MIX 2, and Samsung Galaxy Note 8.
iPhone X price in India is Rs. 89,000 for 64GB variant and Rs. 1,02,000 for 256GB variant. Do you have any questions around the iPhone X? Let us know via the comments.